Over the next few weeks, I’ll meet a number of new students, all keen to improve on their existing skills. The past has shown that, inevitably the question of why they want to learn French crops up at our first meeting as [a] I am curious, and [b] well, there is no real [b] – I am just curious! There was never the sense, for me, that British people were particularly lazy, or that they were uninterested. Do I think that languages should be promoted better at school? Definitely. I am also annoyed at the lack of grammar these days in the curriculum: grammar may seem evil and overrated, but I can assure you that it really helps if you want to speak in another language in a natural, fluent way. Unlike a parrot. I travel a lot and would like to live in a Francophone country. My girlfriend is French and I want to communicate with her family. 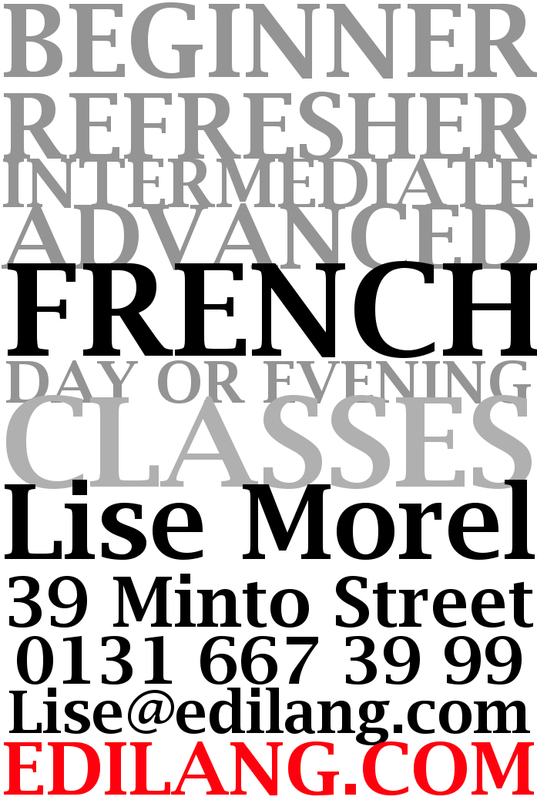 As you can see, there are plenty of reasons why people want to take up French or brush up on their existing skills! Learning another language is difficult and can be disheartening at the best of times: a few years ago I took up Russian in preparation for a trip on the Transsiberian. I have to say this was a truly humbling experience. Anyway… all this to say that learning another language is scary, but it is in no way insurmountable. It can even prove quite a fun and enjoyable hobby, if the conditions are right and the atmosphere in class is quite relaxed and friendly! Should you wish to meet me, to know more about what levels I am offering this term, or for some advice, don’t hesitate to contact me!